Almost all leading gadget manufacturers offer "add-on" this one gadget. Motorola, Samsung, Sony to Apple. 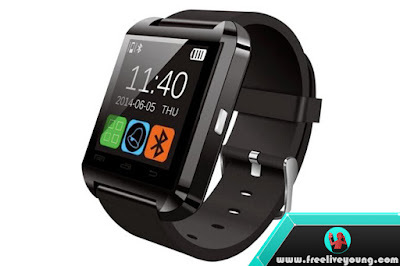 And lately, we often see promo smartwatch is quite tempting in e-commerce and Indonesia's leading marketplace. The features that must exist on a smartwatch as " add-on gadgets " of course should also support the user. Features to monitor Phone Log, Phonebook also Message (SMS / Email) is a must have on a smartwatch. This lets users monitor real-time logging in and out of phone calls without having to eject their smartphone from a pocket or briefcase. As a wearable gadget, of course, the design offered should support the style of the wearer. In addition to style, the material of the smartwatch should also be considered for comfort during use. No different when you choose a conventional watch. It would be better if the smartwatch offers above-average durability such as anti-scratch glass display or water-resistant. Smartwatch must also be multitasking, for it required a specification that also qualified to receive commands from the smartphone as its inducing. Processing and connectivity capabilities are what you need to do when choosing smartwatch. How difficult is it to find the Criterion? Hahaha .. it does, if it requires things mentioned above is in the smartwatch coveted, the price will be the same as branded smartwatch prices exorbitant. But know o my friend, the world is not as wide as the leaves of color and out there are much more interesting options. This is one of them, and if still trigger, you can get the smartphone with the price of US $ 23 by using a special coupon.